Leggett & Platt is one of the best, if not the best, adjustable bed manufacturer in the USA. They produce a number of models such as the ShipShape, S-Cape, Prodigy and Premier Series. Out of these four, the ShipShape is the most basic and cheapest adjustable bed. It has a few limitations compared to other models and it would be best if you can educate yourself about the pros and cons of the ShipShape before you make a purchasing decision. Please read our detailed comparison of Top 5 adjustable beds, before you jump in to a conclusion about which model you want to buy. Motor: A very powerful motor with a lift capacity of 450 lbs. No worries about the sound it creates because it’s absolutely whisper sound. Remote Control (Wired): For easy shifting a wired remote control is attached to the base with a simplified touch key configuration. Dual Wheel Locking Casters: For increased stability and ease of mobilizing even with the mattress or a person lying on it. 16-inches Height: From floor to top of the platform is a distance enough for one to recline or set down comfortably, without a fear of hurting ones back to reach the platform of the bed. Multi-position head and foot zones: To acquire everybody’s preferences this bed will provide the best suitable position you desire. With the remote controls functionality you can move up and down between your head and feet. Ultra-lite flexible mattress foundation: A flexible but durable foundation is set for the mattress and for you to come up with a very comfortable rest. ShipShape Adjustable Bed is an ultra-lite flexible mattress foundation that allows you to modify your own bed package. The total bed system having multi-position between your head and foot zones will provide a unique and worthwhile bedroom activity. May you love reading, playing video games, watching TV and sleeping over your bed, you can have it personalized the way you want it to be. It is modernizing probably the most utilized piece of furniture at home while rejuvenating your life. Live and sleep well with the cozy bed the modern life can offer to you today. 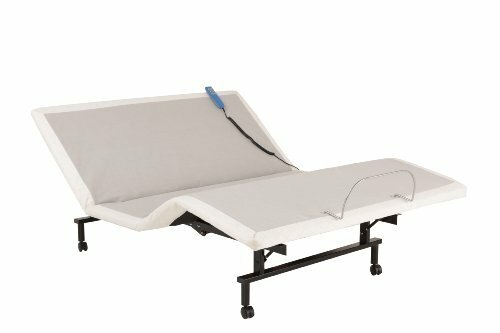 This reviewer shares her story on how the out how the ShipShape adjustable bed gave instant relief to her years-long back and neck pain. You should read this and other reviews on this page to learn what current users of this bed have to say. This is just one of the many positive reviews you may find in different sites about adjustable beds. Living proof that ShipShape is indisputably one of the best quality adjustable beds that everyone may love using today. Hence, could have been a perfect innovation if it has been created with a wireless remote that you can freely move without limits. Unlike the New 2015 S-Cape performance Model, also created by LEGGETT & PLATT, you can easily and conveniently move its remote control but with wired remote of the ShipShape you might need to squeeze it while adjusting your position. This is something that diminishes the convenience it offered but of course that is not really a big problem along the way. So when you are really considering finding convenience during bed time this product might be the best answer for your quest.